Probably the first 'classic' writer I discovered, along with Shakespeare, was Jane Austen. I've told this story before, but as a child sharing a bedroom with my older sister I used to sneak out of bed and read some of her pile of school books at night, when I was supposed to be sleeping. One of these was Pride and Prejudice, another was As You Like It. Both remain major favourites of mine. Later, aged nine, I re-read Pride and Prejudice at lunch time in the school library, together with Lamb's Tales From Shakespeare. (Heartily recommended for your kids!). Since then I've read and re-read all six of the published books, the Juvenilia, the Letters and the Life, and other lives, and literary criticism, and in fact anything I could get my hands on. I've also watched every possible film and TV adaptation, usually with some disappointment. But hey, it's always been enjoyable, even if I've spent some time shouting at the screen, 'No! That's not what the book says!' to the annoyance of my companion(s). Well first of all, she's very funny, with the type of humour I love. Who could beat the well-known first sentence of Pride and Prejudice? 'It is a truth universally acknowledged, that a single man in possession of a good fortune, must be in want of a wife.' Yes. No longer true, maybe – marriage is no longer the ultimate aim for women – but the essential truth is still there and so is the wit. It's not so much the man who wants a wife, as the surrounding women who feel he would make a suitable husband for themselves or their daughters. The wit relies on our immediate understanding of this fact, that the 'truth universally acknowledged' is acknowledged not by the man himself but by the women who know him. In writing about Jane Austen, It would be easy to spend the whole time on her humour. Lady Catherine de Burgh's interview with Elizabeth must be mentioned, and Sir Walter Eliot's preoccupation with the Baronetage and especially his own entry in it; and I particularly love the bit in Sense and Sensibility where Elinor is trying to be calm about the possibility that Edward may be about to propose to her – or may not. '…with a countenance meaning to be open, she sat down again and talked of the weather.' And it would be very bad to forget Miss Bates in Emma, although there is far too much of her to quote at length. You'll have to read it for yourself, if you haven't done so already. But Jane Austen's real strength lies in her characters, and in her depth of meaning. Take her characters first. Probably her most popular character is Darcy, mainly because of his portrayal by Colin Firth. I've no objection to that. But I like Elizabeth much more, and Anne Eliot, and Fanny Price. Darcy, in the actual book, starts off as a bit of a pain. (Rather like my own John Branagh, in Belfast Girls.) Elizabeth hears him saying about her at a dance, 'She is tolerable; but not handsome enough to tempt me; and I am in no humour at present to give consequence to young ladies who are slighted by other men…' No wonder Elizabeth starts off prejudiced against him! And his arrogant proposal later in the book hardly helps. But Elizabeth, witty, kind, intelligent and easy to relate to, is an ideal heroine. 'Light and bright and sparkling,' as Jane Austen herself said. Anne Eliot, in turn, is the ideal for a teenager desperately in love and hoping against hope that their love will be returned. (And who hasn't been?) For Anne, things work out in the end. 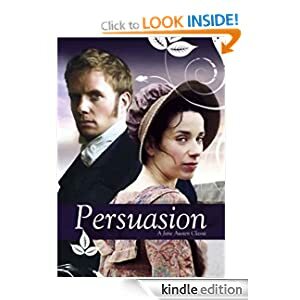 I defy anyone to read the part of Persuasion where Anne finds, at the concert, that Captain Wentworth does seem interested in her after all, without emotion. And as for Fanny Price, it was in my maturity that I began to realise that she was a strong, admirable character whom I really liked. I began by having Elizabeth Bennet as my favourite, moved on to Anne Eliot, and then went to Fanny Price – signs of growth. Currently I like Emma quite a lot, and am tending back towards Elizabeth. But it's not just the heroines she excels in. Jane Austen's minor characters – Miss Bates, Mr Woodhouse, Mr and Mrs Elton; the Misses Steele, Mrs Jennings, Robert Ferrars; Mr Collins, Lady Catherine de Burgh; Mrs Norris, and so many others, are drawn with amazing dexterity and liveliness; and if there were no heroes or heroines to grab our attention, these minor characters would still make us return to the books again and again. And in addition to the characters, we have the wisdom and depth of understanding which shine throughout the books. 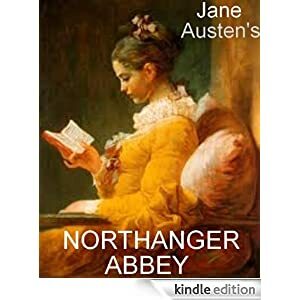 Northanger Abbey explores and mocks the type of book and its readers which deal with unreal, exaggerated happenings, such as the gothic romances of Ann Radcliffe, comparable to, for instance, Stephanie Meyer's Twilight series now. 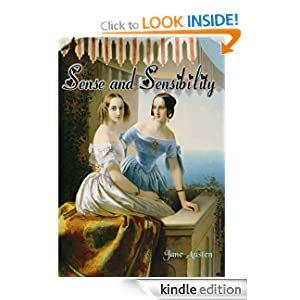 Jane Austen has read and enjoyed Radcliffe herself – she doesn't write the books off as rubbish – but she does feel that readers should be aware that real life is not usually like this. On the other hand, although the imaginings of sweet little Catherine in Northanger Abbey are unreal, General Morland is certainly a villain in his own way, and Henry rescues Catherine from his bad treatment of her just as clearly as Mrs Radcliffe's heroes rescues her heroines. 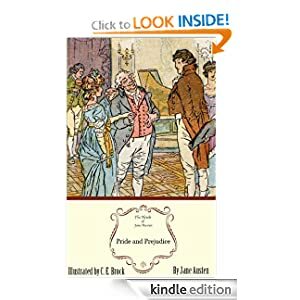 In Pride and Prejudice (and indeed in all her books) Jane Austen deals with the problem of a woman in her time who is expected to support herself by marrying a well off husband. None of Jane Austen's heroines is willing to do this (any more than she was herself.) They consistently reject the opportunity to marry a reasonably well off man whom they don't love (Mr Collins, Henry Crawford, Mr Elliot, etc – indeed, Darcy himself in the middle of the book). 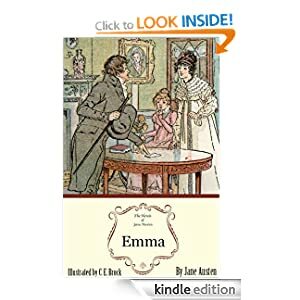 Emma, exceptionally, has no need to marry to support herself, being already well off, and she gives us a clear outline of her (and Jane Austen's) opinion on this subject. Jane Austen writes about strong women, who refuse to be put down by the ethos of their time and to be considered inferior to men. They stand up for themselves and for their own ideas, and refuse to be told what to believe or do. Unlike many of their contemporaries, they put up with whatever is necessary rather than buckle under to men who ill treat them. Jane Fairfax, for example, chooses to become a governess – and Jane Austen leaves us in no doubt as to the horrors of such a means of earning a living – rather than marry Frank Churchill, who has treated her in a way which demeans her. She will maintain her own character at any cost. Fanny Price, returning to the squalor of her home in Portsmouth rather than marry the immoral Henry Crawford, accepts a similarly dreadful life rather than give up her own moral stance. These are typical Jane Austen women, and our admiration for them should never be withheld. I could write at much further length about Jane Austen's depth, but perhaps I'll just go and re-read Mansfield Park or Emma – now, which? Decisions, decisions! – instead. As the title suggests, I thought for a change I'd write a little about my own publishing journey. It's just over a year now since my first book, Belfast Girls was published; and possibly some of you know very little about me and would be interested in finding out a little more. (And if you really don't want to, then skip this and check out the blog next time when I intend to write about Jane Austen – yes, wow, all you JA fans!). Halfway through my all girls primary school (I'm not sure what the American equivalent is, but I was about 8) I was put into a 'house' called Charlotte. The headmistress explained when 'houses' were introduced that she had picked the names of 4 famous women who would be good role models, and talked a little about each of them – Florence (Nightingale), Elizabeth (Fry), Octavia (Hill) and Charlotte (Bronte.) All great women. You should look them up if you haven't heard of them. She explained that everyone in Charlotte need not necessarily aim to be a great writer. Charlotte Bronte's determination to 'do something worthy of fame' was in itself a good attitude to follow. 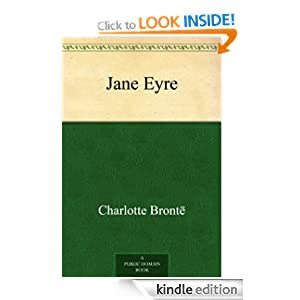 Nevertheless, that was probably what first made me want to be a great writer – someone not only popular and best selling, but also looked up to as a good, classic, literary writer. And, of course, a woman! I should explain, here, that for a good part of my life I didn't consider that being a woman was a disadvantage. My home, and my schools, treated me as in every way equal to boys – if not rather superior. It was only as an adult that I came across the strange idea that women were less intelligent and inferior in lots of ways to men. I still didn't believe it, of course, but it was certainly annoying. I wrote lots of things for years, seeing little success in terms of published work. A few poems, quite a few articles – all of them unpaid. This wasn't what I was aiming for. I wanted my fiction to be both published and paid for – I needed to be a professional. Meanwhile, I married twice (my first husband died very young) and had 4 children – 2 per husband, which seemed reasonable, I used to joke. When my youngest child was ready for school, I took on a full time job, working in the Civil Service. Writing was still very important to me, but time was at a premium. Finally came success. 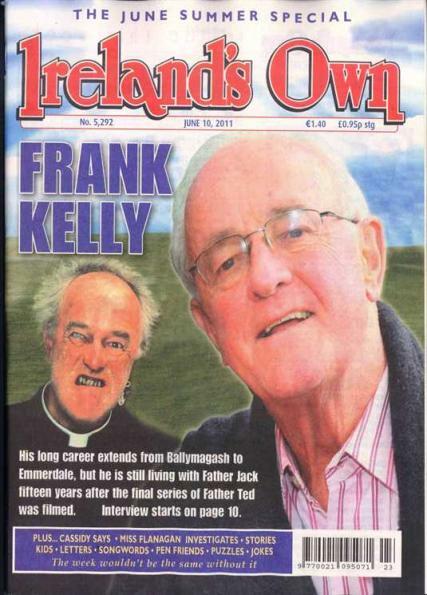 About 10 years ago, an Irish magazine, Ireland's Own, accepted one of my stories and paid for it! Moreover, they expressed an interest in seeing any others I cared to send them! Wow! I couldn't believe it at first when I opened the envelope. That was the first Old Seamus story, The Tale of a Teacup. I still have a great love for it. 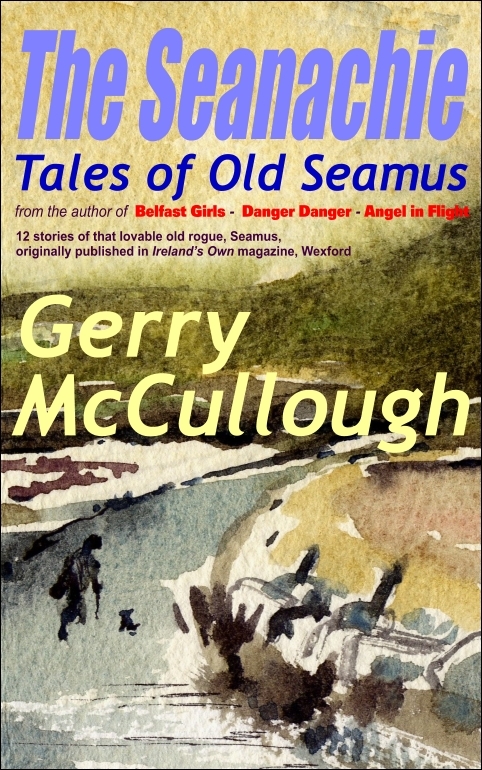 Since then, Ireland's Own has published over 30 of these Old Seamus stories, the tales of an Irish rogue who lives by poaching and tells stories going back to his own childhood or youth, full of humour, nostalgia, and sentiment. The first 12 have now been published by Precious Oil Publications, at a deliberately low price, around a dollar or 77p, so that anyone interested can easily buy them on Kindle. This is my most recent book. It went straight into the Amazon top 100 for 'romance – short stories', which was nice. But back tracking slightly, I was very happy to have stories published in a magazine, but my aim was still a full length fiction book. Some of the signposts on the way, which confirmed my belief that my writing wasn't too bad, were winning the Cuirt International Award for New Fiction for my short story Primroses, and being short listed, runner-up, and commended in a number of other literary competitions for short stories. Around 20 of these more literary short stories have also been published by now. In 2007 I was taken on by a local Literary Agent, Bill Jeffrey. 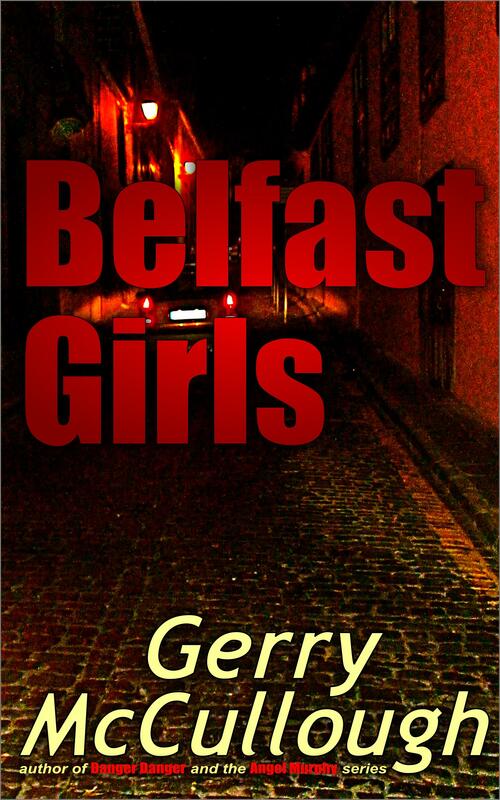 He suggested that I put Belfast Girls up on Authonomy.com, the HarperCollins website. Once there, Belfast Girls reached the top 5 in six months (quite good going) and had so many positive comments that I began to believe that my writing must, in fact, be okay. Well, Harper Collins wanted a lot of changes before they would consider publishing Belfast Girls, which doesn't fit neatly into just one of their genres. But meanwhile, a number of much smaller publishers had expressed interest in the book. Among these was Night Publishing, run at that time by Bruce Esler (who later dropped out) and Tim Roux. 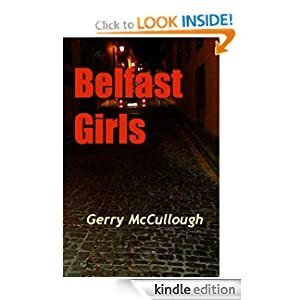 Bruce was enthusiastic about my book, and so, in July 2010, out of the several offers made to me, I accepted a publishing deal for Belfast Girls with Night Publishing. By the end of the year, the book was out. Now, just over a year later, it's sold well over 2,000 copies and is on its way to 3,000. It entered the top 100 for its genre in March 2011, was picked as Book of the Month by the Ulster Tatler in the same month, won the Night Publishing Book of the Year Award in April, and continued to climb the best seller lists. Usually it has been in the top 100 on 3 genres in Amazon UK; Women's Literary Fiction, Literary Fiction, and Contemporary Romance. It has climbed as high as #2 in Women's Lit. Fict – my ambition, of course, is to reach #1. For the last two months it's been consistently in the top 10. By now, my confidence in my writing had grown, built up not only by the sales but by the lovely 5 star reviews left on the Amazon site by readers. I would not, previously, have thought of self publishing. A real publisher or nothing, had been my aim. But now, for the first time, I seriously considered allowing my husband to publish my next books, through his fledgling Publishing Company Precious Oil Publications. 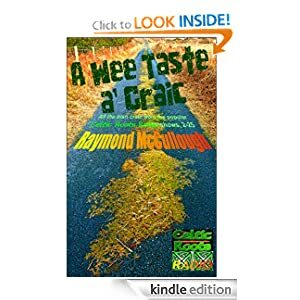 Raymond is an excellent writer as well as a publisher – I've mentioned his books, The Whore and her Mother and A Wee Taste of Craic on this blog previously – and he had set up the publishing company for this purpose. So I agreed that he would publish my next book, a more straightforward romantic thriller, Danger Danger, and in October, it was out. I was sorry not to continue with the marvellous Tim Roux and Night Publishing; and Tim very kindly said that If I ever changed my mind he would be very happy to publish any of my future books. But the die was cast. 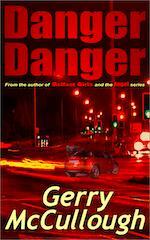 Danger Danger has had some great 5 star reviews. But it's like juggling plates – it's hard to handle publicity for two books at once. I know I haven't done enough to push it yet. 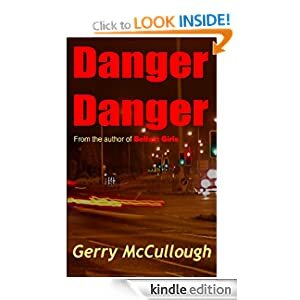 It went straight into the top 100 bestsellers list for romance suspense, which was more than Belfast Girls did at that stage; and I personally believe that it's a better written book than my first. We'll see how it does. 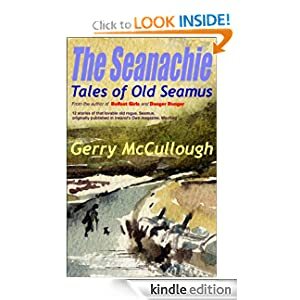 And now, as I mentioned above, the first 12 of my Tales of Old Seamus has been published, just last week, with the title The Seanachie. A Seanachie is an Irish storyteller. Irish short stories, broadly speaking, fall into two categories – serious, possibly melancholy stories, like my Primroses, or like The Dead by James Joyce (to whom some of my more serious stories have been compared); or the stories of Sean O'Faolain; and lighter stories like The Irish RM by Somerville and Ross or Lynn Doyle's stories. These Tales of Old Seamus fall into the second category, being light, funny, and sometimes sentimental – but I believe they are none the worse for that. I'm pleased to see these stories out in book form at last. I have a sentimental affection for them, as my first actual success, The Tale of a Teapot, is the first story in the collection. Lots of people have enjoyed these stories in magazine form, and in the podcasts I made of the first 5. I hope they'll buy it on Kindle – the same price as a bar of chocolate, and not even fattening, as the publicity says. Now I've 3 plates to keep spinning, and I'm working on a fourth. This is a huge revision of the first book I wrote as an adult. I still think it's got something, but I can see the faults now very clearly. If I can make a good job of it, it will be out later this year. It's another romantic thriller, set between Belfast and Greece, with the new title Angel in Flight (unless I change that, too!). Time I stopped this very long post, I think. A belated Happy New Year to you all! And you can buy my 3 books at the links below. 2 of them are ridiculously cheap, and Danger Danger is extremely reasonably priced. Hope you'll get them and enjoy them as much as others have done.